Are you in the market for a new home? Are you preparing to sell your current property? Don't make any decisions without getting an accurate home inspection report. Home Inspection Pros can help you make a smart investment. Our experienced home inspectors will take careful note of the property's condition so you'll know its true value. We're based in Marietta, GA, and we serve communities within a 75-mile radius. Call now to speak with an experienced home inspector. Local property owners and prospective purchasers have been doing business with us for nearly 20 years. If you're getting ready to buy or sell a property, contact Home Inspection Pros today for a residential or commercial property inspection. Find out about the repairs you need to make before putting it on the market. Know the facts before you buy so you can negotiate a fair price. Refer your clients to Home Inspection Pros to help them negotiate the best price. When it comes to your home inspection, it's important to hire a home inspector you can trust. 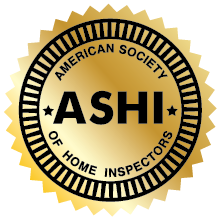 Home Inspection Pros is backed by 20 years of experience, and we're fully licensed, certified and insured. Call us today to make an appointment. Copyright © 2019 Home Inspection Pros, all rights reserved.